When making your estate plan, consider what you want to happen with your digital legacy —that is, all of your accounts, blogs, social networking identities and digital files that will be left online when you die. Many of these items cannot be left through your will or other estate planning device because you do not actually own them. However, if you know what you’d like to have happen, you can leave meaningful instructions for your executor, who should be able to carry out your wishes. However, you can still affect the fate of these accounts fate to some degree: You can leave instructions to those who will be wrapping up your estate describing your wishes. That way, although you can’t legally transfer your “ownership” of these accounts, you can still plan for what should happen to them after you die. Here are examples of popular online accounts and instructions that you might want to leave about them. However, in most cases, if no one tells the company about the death, it won’t know – at least for a while. This gives you a window to have someone make changes to your account after your death. For example, you could have your executor post a final status update or tweet after your death. Or you could request to have certain things deleted from your account. Or you could ask your executor to delete the account altogether. Like social networks, what happens to your email accounts depends on the policy of the company who administers your account – for example, Yahoo, Google (gmail), Microsoft (hotmail), or for your work email, your employer. At some point after your death – the timing depends on the company’s policy -- your account will be deleted. However, you could instruct your executor to send, delete, print, or archive emails before the account expires. For example, maybe there is an email from your child, that you think your grandchild would enjoy reading. Or maybe there are certain emails that would be better deleted all together. If you write a blog, you may want to ask your executor to let your readers know about your death, to take the blog down, or to archive its contents. If you have licensed a domain name, consider what you’d like to have happen to it as well. Your executor may be able to transfer, end, or continue paying for your license. If you belong to any online communities – such as a community list serve, or an online book group – you may want to notify them about your death or leave them with a final message. If you sell your wares on a site like Amazon, eBay, or Itzy, leave instructions for your loved ones about what to do with your store. If the company knows about your death, you won’t be able to decide what happens to the account itself, but you should be able to leave all of the items you sell (as well as any profits that continue to come in) through your will or living trust. If you want someone else to run the store after you die, check your agreement with the administering company – your account may not be transferable. Instead, the new “owner” may have to open a new account. Leave instructions for your executor about what to do with (and how to access) your online accounts. 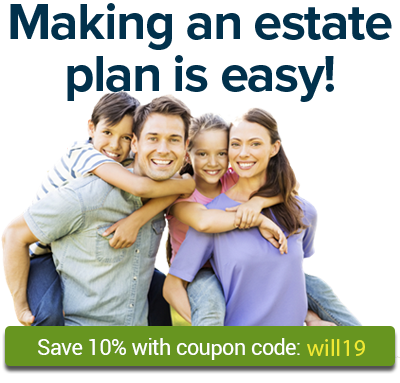 The easiest way to do this is to write your instructions and log-in information in a letter and store the letter with your other estate planning documents. If you choose not to leave log-in information, your estate representative may still be able to get limited access to some of your accounts. (In fact, some states are passing laws to make that easier. See, Oklahoma Executors Get Power Over Email, Facebook Accounts.) However, every company has its own guidelines and limitations about this, so getting access this way is bound to be a hassle. A clear letter will be an enormous help to your executor. The letter doesn’t need to be anything special (it won’t be a legally binding document), so you can just write it on your word processor. Or consider using WillMaker's "Information for Caregivers and Survivors" document to leave an inventory of your online accounts in an easy-to-make and easy-to-understand plain-English document. Learn more about Wills, Trusts, and Estates and Getting Your Affairs in Order Nolo.com.